Exactly a week after the processing of application started, only 128 of the estimated 10,000 Martial Law victims have so far filed for compensation. Noting that the claimants only have until November 10 this year to file their applications, Lina Sarmiento, chief of the Human Rights Victims Claims Board (HRVCB), advised the victims against last-minute filing. Sarmiento said failure of the victims to file claims during the six-month period, as stipulated in Republic Act 10368, will be considered a waiver. “We would like to reiterate that all victims of martial law have to apply in person, including those conclusively presumed as human rights violations victims (HRVVs) so that the Claims Board will be able to determine the kind of human rights violations and determine appropriate awards, as provided by RA 10368,” said Sarmiento. The HRVCB opened its office at the E. Virata Hall in UP Diliman last Monday for the filing of applications for recognition and reparations to the Human Rights Victims’ Claims Board. Sarmiento said the process has so far been smooth. “The process of applications went smoothly, without a glitch so far—from the submission of applications, scanning of documents and giving of acknowledgment receipts,” she said. Aside from those who applications were received, several others were asked to complete the necessary documents. “The Human Rights Victims’ Claims Board and the staff prepared very well for the process so that we can be of service to the victims,” she said. Sarmiento said the applicants had come from as far as the USA, CARAGA, Samar, Batangas, Mindanao, Bicol and many areas of Metro Manila. To further expedite the filing of application, Sarmeinto said they will open offices in some provinces. RA 10368 recognized as conclusively presumed human rights violations victims (HRVVs) the class suit and direct action plaintiffs of cases filed in Honolulu and other US courts against the late President Ferdinand Marcos, and those recognized by the Bantayog ng mga Bayani. 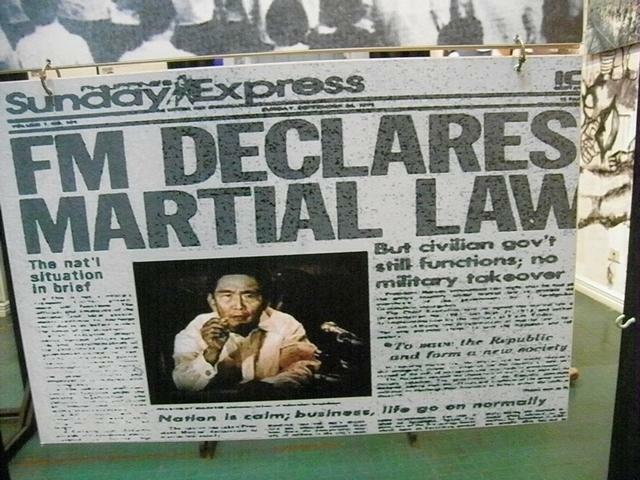 The Claims Board said it can render motu proprio recognition to some victims of martial law through judicial notice.